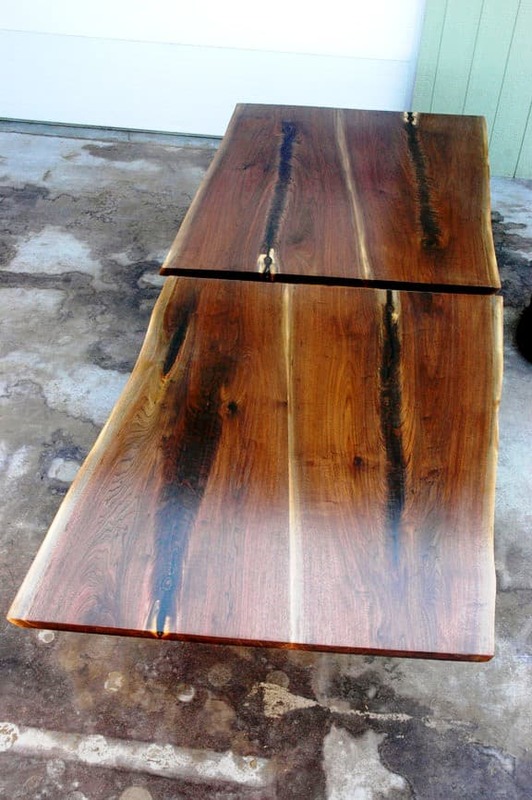 Contemporary, modern, matched set of walnut crotch wood slab custom dining tables about 4′ wide x 5′ long x 1.5″ TH …….each. They actually still have several walnuts embedded in the crotch wood of the tree….very unusual and unique. The crotch grain in these tops is amazing.